Who Watches the Watchmen Screening? So last night, I attended a screening of various scenes from the upcoming "Watchmen" movie, including a talk with director Zack Snyder and the artist of the original comic book, Dave Gibbons. I came to the Watchmen comic very late -- I read it for the first time only a couple of years ago -- but I of course loved it instantly. So I was very interested in how they could turn that rich, complex, sophisticated, downbeat, political, epic comic book into a superhero movie. To keep the film down to a watchable length, Snyder said he had to cut or modify certain sequences and characters, but he seems to have made up for that by making allusions to what there isn't time to explicitly include. Every frame just about burst with references and snippets that even Gibbons said he catches only after multiple viewings. After listening to Gibbons speak on stage, and talking to him afterwards, to say he's enthusiastic about this film is an understatement. He made the excellent point that movie audiences may be ready for a deconstruction of the superhero genre in a way that they weren't only a few years ago, when they weren't quite as familiar with the conventions of the form. 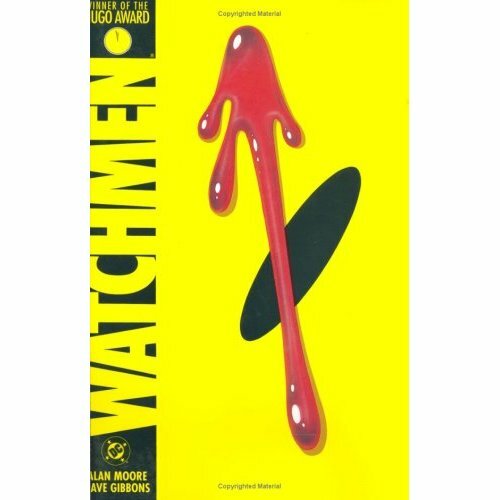 I also think there are political connections that can be made between "Watchmen"'s mid-1980s world and our post-9/11, financial apocalyptic time that will be very interesting. This movie looked beautiful, unbelievably well-crafted, and every bit as exciting and provocative as the comic. Update: Much more info about the screening here.